Download includes detailed PDF booklet of notes and artwork by Paco Rossique. Limited to 30 numbered copies. Each comes in a frosted flexible CD case, with a brown sugar paper wrap-around sleeve, hand stamped CDR, and two inserts (3 on the first six copies sold!) of laminated reproductions of artwork by Paco Rossique. Includes unlimited streaming of Collages & Dispersions via the free Bandcamp app, plus high-quality download in MP3, FLAC and more. 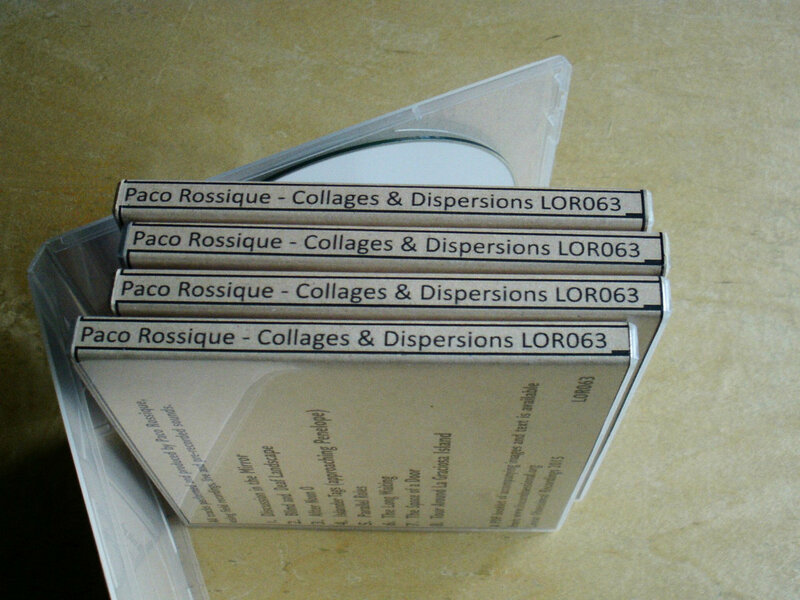 Linear Obsessional launches back into action with this evocative and hallucinatory album of new sound works by the Canary Islands based artist Paco Rossique. 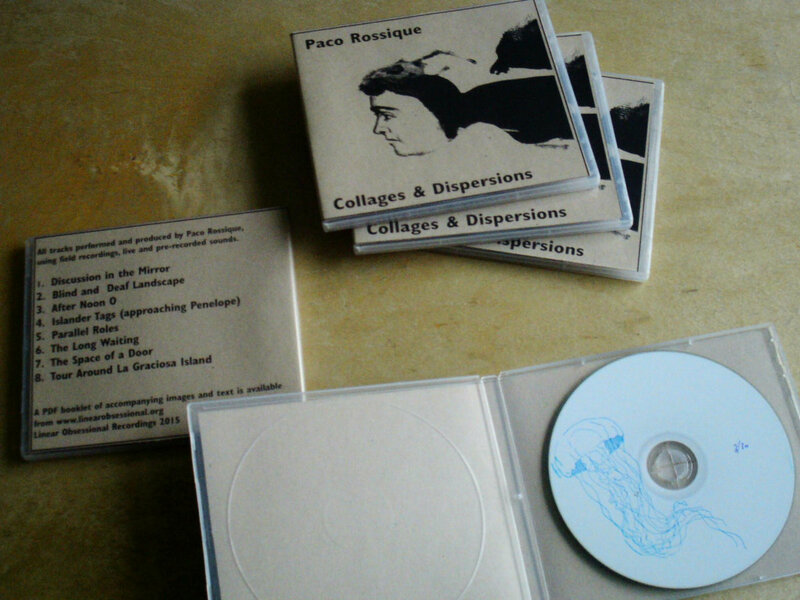 Created from treated field recordings and the unique timbres of the prepared piano - "Collages & Dispersions" is a wonderful piece of work that rewards many listens. The download comes with a PDF of texts and extraordinary images by the artist. 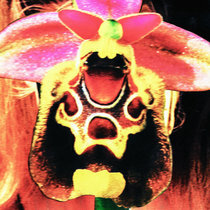 All tracks performed and produced by Paco Rossique, using field recordings, live and pre-recorded sounds. "This album of electronics, field recordings and prepared piano pieces from Canary Islander Rossique is so atmospheric you can almost taste it. Those familiar with Rossique’s previous releases – such as 2013’s Caves or last year’s Resounding Graphic – will have an idea of the aesthetic approach: ominous synth drones, criss crossed by fragments of piano and distant voices, and underpinned by irregular, percussive strikes of stone and metal. 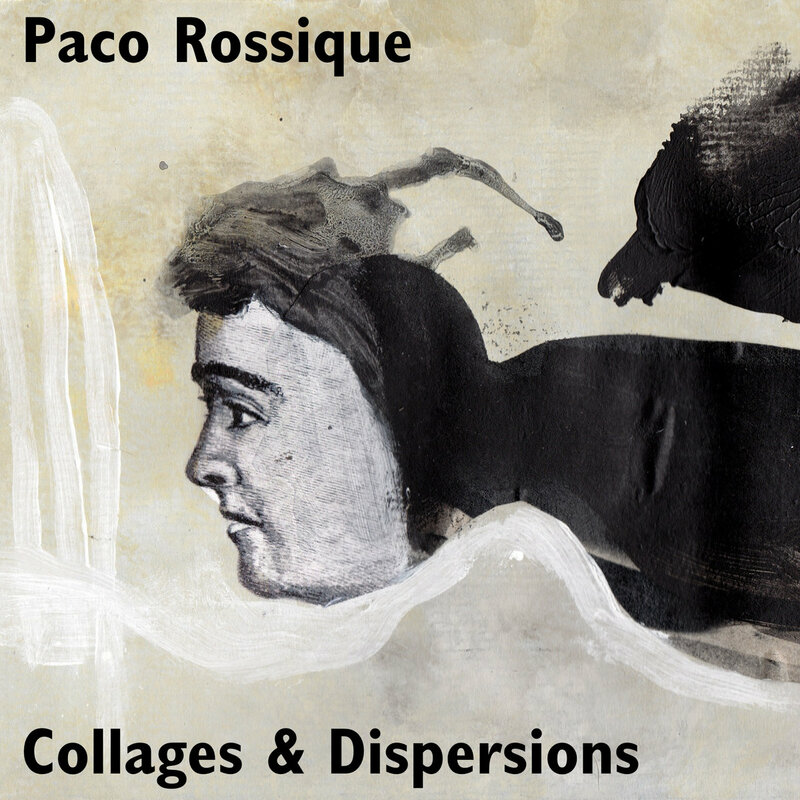 On Collages and Dispersions Rossique has pared things down from the closely-woven spookiness of those previous records. The vibe is unsettling, displaced and, although the recordings are often drenched in reverb, are strangely claustrophobic. There’s a drier, almost mustier feel on tracks like The Long Waiting or The Space of a Door, as if they’re hewn from the volcanic Canary Island rock to form elemental, cubist structures. There’s a departure from the template on Parallel Roles, its opening hubbub of voices and drones reminiscent of Radioactivity-era Kraftwerk. The voices fade after a while, replaced with machine-like clanks and layered washes of synth, before returning towards the end. They’re slowed down this time, slurred, which adds to the narcotic, hallucinatory feel. In After Noon O, a series of hollow, mournful whistles rise up from the deep. I’m reminded of Arve Henriksen’s early solo recordings, Sakuteiki perhaps. These simple melodic figures could be calling to us from across time and space, looping away and disappearing before we can adequately grasp them, as the lower register rustles and prepared piano base notes beaver away like mysterious excavations. Preparations for rituals we’ll never experience. Dispatches from the outer reaches." -Paul Margree "We Need No Swords"
"Collages & Dispersions, a solo recording by Canary Islands pianist and sound artist Paco Rossique, is an atmospheric recording that presents the sonic portrait of an invented, artificially resonant space in which small metal objects are tossed about in a humming wind. For Rossique, a soundscape is above all a work of imagination midwifed by technological means at the service of a sensitive ear. 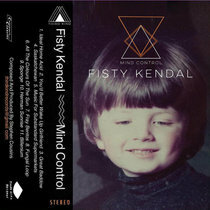 He deftly layers field recordings, prepared piano and electronic treatments into eight interconnected, timbral compositions that emphasize the contrasts between an intermittent low drone and the sharper-edged sounds of prepared piano and objects. The pieces often feature a counterpoint of electronic washes and clanging metal occasionally giving way to recognizable pitches and tone clusters. The voices of birds and humans appear sporadically, grounding this otherwise otherworldly audio landscape in the concrete sounds of the everyday as filtered through Rossique’s unique sensibility. This is a sensibility that doesn’t limit itself to the manipulation of sound. The eight tracks are held together in a kind of anti-narrative by virtue of a series of prose poems and visual images, all by Rossique, each one of which is associated with an individual track. These verbal and pictorial tableaux, like their audio counterparts, display a dreamlike logic rooted in the juxtaposition of unlikely elements—a convulsive beauty, as the Surrealists would have it." 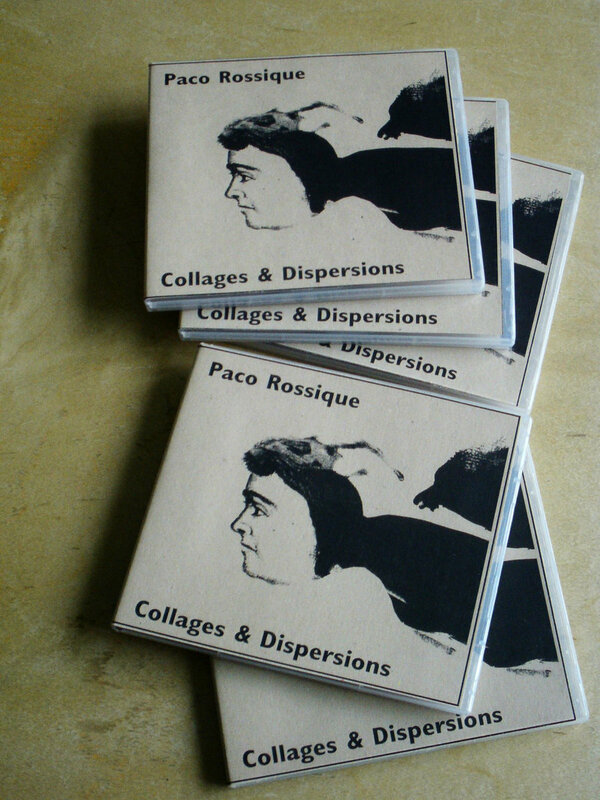 "Paco Rossique is a Spanish sound artist from the Canary Islands. I warmed instantly to his Collages & Dispersions (LINEAR OBSESSIONAL RECORDINGS LOR063), a visionary and dream-like mixture of field-recordings and live sounds, blended with occasional stabs at detuned and denatured musical instruments, moving beyond the obvious with prepared piano, stringed instruments and percussion, to create his own unique moments of Harry Partch-like ruggedness. His is a very personal and private universe, which we can glimpse occasionally through is subtle and under-stated works, which are haunted with memories, passing thoughts, ghosts, nostalgic longings, and unfamiliar emotions. It helps tremendously if you peruse the booklet (downloadable as a PDF) while listening; each track has its own accompanying watercolour/collage image and a text of prose/poetry, giving further clues to help unlock the hermetically sealed information. In this he strongly resembles two other introverted daydreaming visionaries who we very much like at TSP, namely Joe Frawley and Edward Ruchalski. With these spacey acousmatic interludes and trance-state fugues, the beautiful amorphous music sometimes interspersed with fragments of speaking voices and murmuring phantoms from the ethereal zones, I’ve no hesitation in greeting Paco Rossique as a Surrealist-manque, the aural equivalent of a Paul Delvaux or Leonora Carrington. An unusually rich album for this label, I might add, which I have often associated with dry and spare recordings of minimal acoustic improvisation. From 28 May 2015."